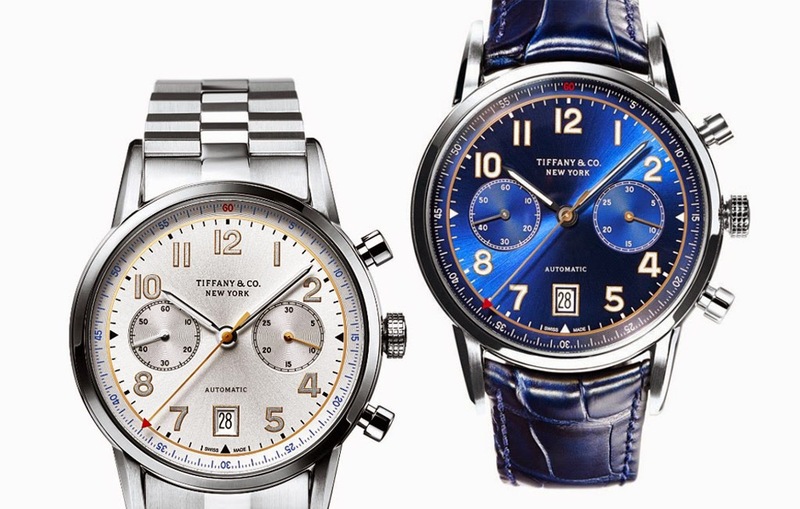 Tiffany & Co. recently introduced a new watch collection, the Tiffany CT60, which includes timepieces for men and women and the chronograph that we present here today. 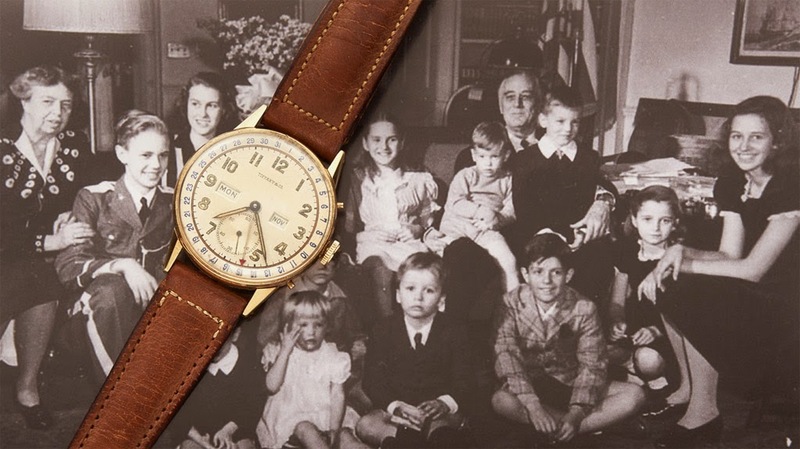 The CT60 name refers to the initials of the founder of the brand and to the brand’s establishment of the "New York Minute", one of the city’s first mainstay clocks outside the store. Founder Charles Lewis Tiffany opened a "stationery and fancy goods" store in 1837. Its company first achieved international recognition at the 1867 Paris World’s fair when it was awarded the grand prize for silver craftsmanship, the first time that an American design house had been so honoured by a foreign jury. By 1870 Tiffany & Co. had become the America's premier silversmith and purveyor of jewels and timepieces. At the turn of the 20th century the company had more than one thousand employees and branches in London, Paris, and Geneva. Inspired - like the entire CT60 collection - by a Tiffany gold watch given to U.S. President Franklin D. Roosevelt in 1945, the Tiffany CT60 Chronograph has a classic 42 mm case and it is available in stainless steel or in rose gold. The steel case can be matched to three dial variations: white soleil, blue soleil and black soleil. 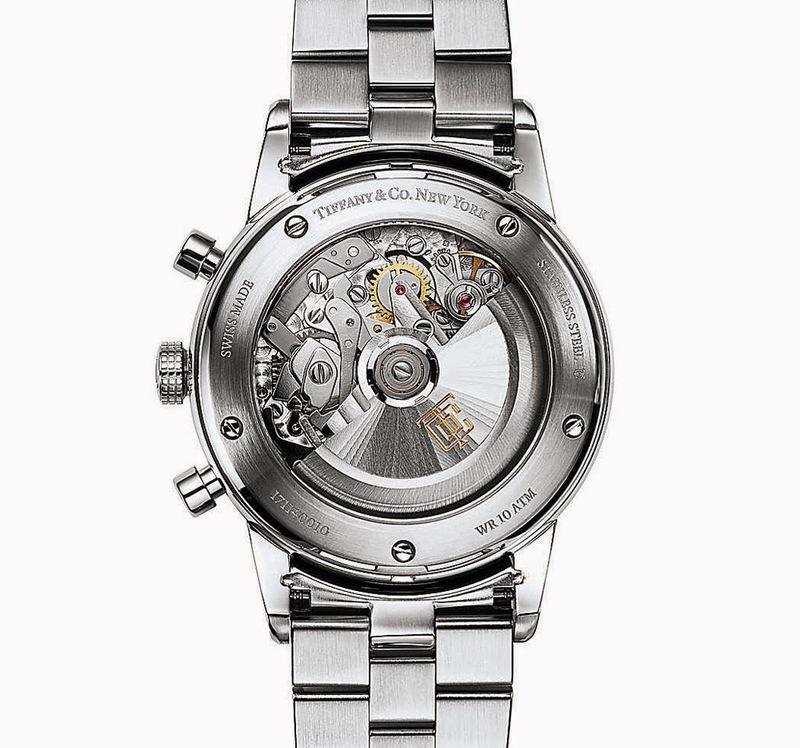 All dials have silver poudré numerals with the 30-minute chronograph counter at 3 o'clock, the small seconds sub-dial at 9 o'clock and the date aperture at 6 clock. 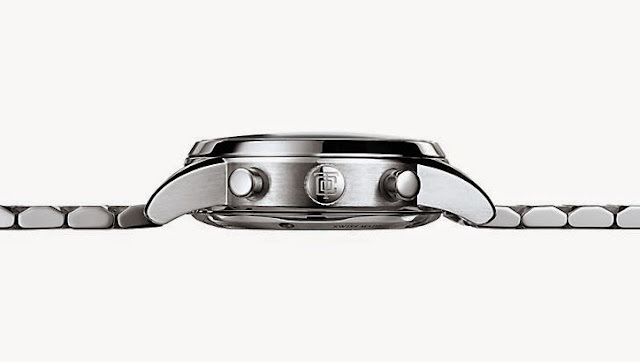 The watch offers water resistance to 100 meters / 330 feet / 10 ATM. The La Joux-Perret self-winding mechanical movement with shock absorption system beats at 28,800 vibrations per hours and offers 42 hours of power reserve. 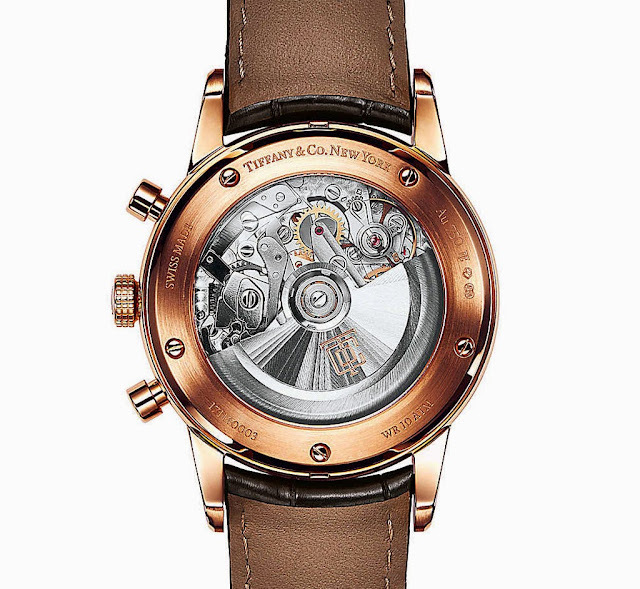 Visible through the sapphire crystal display back, the movement is finished with techniques like radial Côtes de Genève, Colimaçon and Perlage. 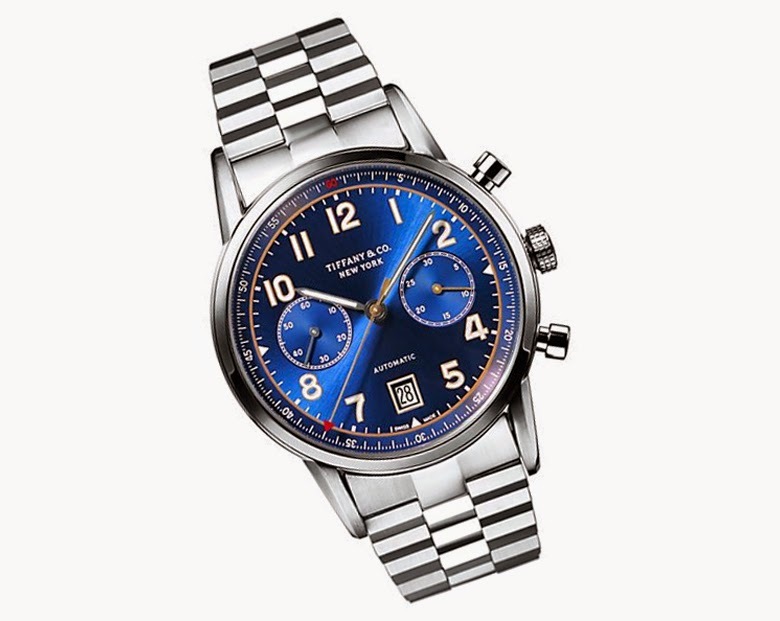 The Tiffany CT60 Chronograph in steel has a price of Euro 6,250 / US$ 6,750 with an alligator strap or Euro 6,750 / US$ 7,250 with a steel bracelet. 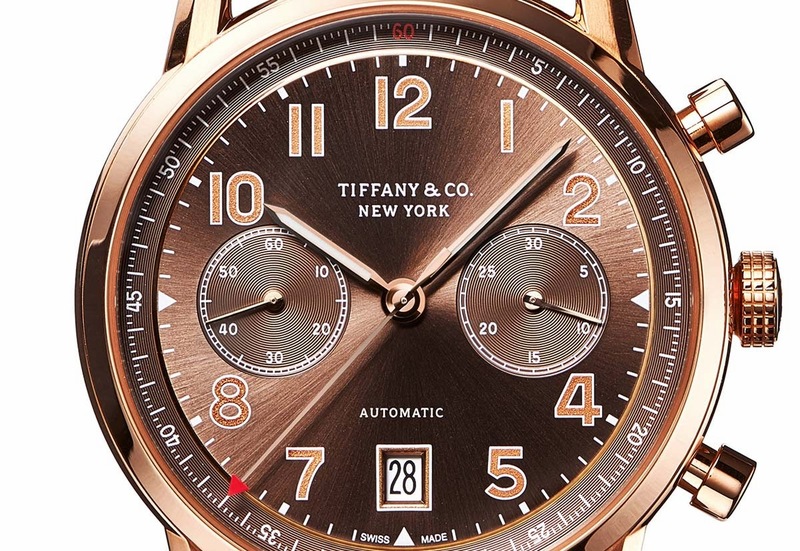 The CT60 Chronograph is also offered in a precious rose gold version with brown soleil dial featuring gold poudré numerals at the price of Euro 15,000 / US$ 16,000. 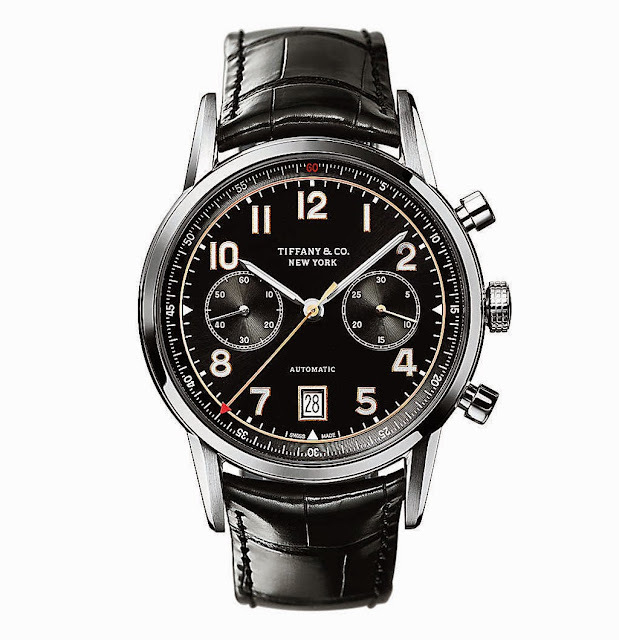 Tiffany CT60 Chronograph. Tiffany & Co. recently introduced a new watch collection, the Tiffany CT60, which includes timepieces for men and women and the Tiffany CT60 Chronograph in stainless steel or in rose gold. The Tiffany CT60 Chronograph in steel has a price of Euro 6,250 / US$ 6,750 with an alligator strap or Euro 6,750 / US$ 7,250 with a steel bracelet. 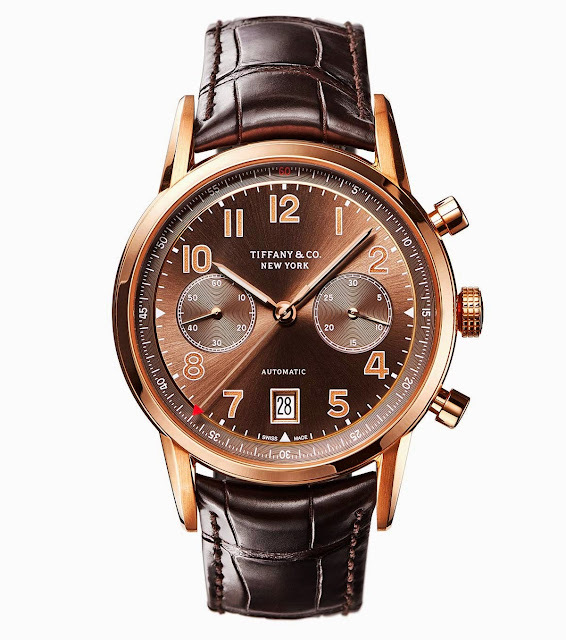 The CT60 Chronograph is also offered in a precious version in rose gold at the price of Euro 15,000 / US$ 16,000.